Even though President Buhari didn't declare a public holiday, the buzz created by the official recognition of June 12 as new Democracy Day in Nigeria can be felt across the whole length and breadth of Nigeria. The feeling is understandable, Nigerians had been yearning for a quarter of a century, to have someone address and right the wrongs committed in the annulment of what was (and still is perceived as the fairest and freest election in Nigerian political history. The democratic experiment of June 12, 1993, had the whole of Nigeria in a political frenzy. There was so much faith in Option A4, the voting method adopted by the electoral commission which ensured voters witnessed the counting and announcement of the winner of each polling unit. It's only natural the abrupt annulment of the elections sent shockwaves and angst through an astounded nation. Political scientists and observers believed the annulment of the June 12 elections was a great injustice to Nigerian sensibilities, many took to the streets and forced/shamed General Ibrahim Babangida out of office. From then on, Nigerians rejected every military government foisted upon the people till the general elections that produced Chief Olusegun Obasanjo as the president of the 1999 elections. The cost of actualizing the June 12 mandate was huge on Nigerians; too much blood was spilt, many were herded into General Sani Abacha's gulag in an effort to shut the agitation out of people's minds. June 12 was more than Chief MKO Abiola's ambition, it was the aspiration of Nigerians to dump the military for good. Dreams of Chief Obasanjo righting the wrongs of the military's annulment of June 12 fell disappointingly short. He had a chance to write his name in gold in Nigeria's political history but Chief Obasanjo he played the proverbial ostrich and buried his head in the sand. President Umaru Yaradua didn't do better, June 12 was a forbidden topic in his short stay in office. President Goodluck Jonathan's attempt was not rebuffed by the people, the University of Lagos was too little to measure up beside the lives lost in the June 12 cause. History passed the baton of healing Nigeria to President Buhari and he took it with courage and grace. What did President Buhari do right with the recognition and renaming of June 12 as Democracy Day? Firstly, he took everyone by surprise and halted the mistake of the past 18 years of leaders wanting Nigerians to move on without doing justice on the June 12 argument. The injustice committed by leaders intentionally ignoring is akin to hoping Nigerians would forget about a painful wound without treatment. The annulment of June 12 created a chasm that needed closing, Buhari the surgeon, has closed this painful wound. Whoever chose to address the June 12 mandate risk offending a lot of egos and disrupting the status quo, it takes a lot of courage to approach and seek closure on such combustible material. Secondly, President Buhari demonstrated rare courage by honouring late Chief MKO Abiola, his erstwhile running mate, Ambassador Kingibe, and the "Senior Advocate of the Masses, late Chief Gani Fawehinmi. President Buhari damned all consequences and made the Abiola family (and millions of Nigerians) happy by crowning Nigeria's real hero of democracy with the nation's highest award. Justice is served at last. Thirdly, President Buhari has restored the audacity of hope in Nigerian democracy. President Buhari signed the Not-Too-Young-To-Run bill into law, opening the political arena to even younger Nigerians. In the eyes of the youth, Nigerian politics was polluted with the annulment of June 12, they were relegated to the background to become henchmen and thugs. 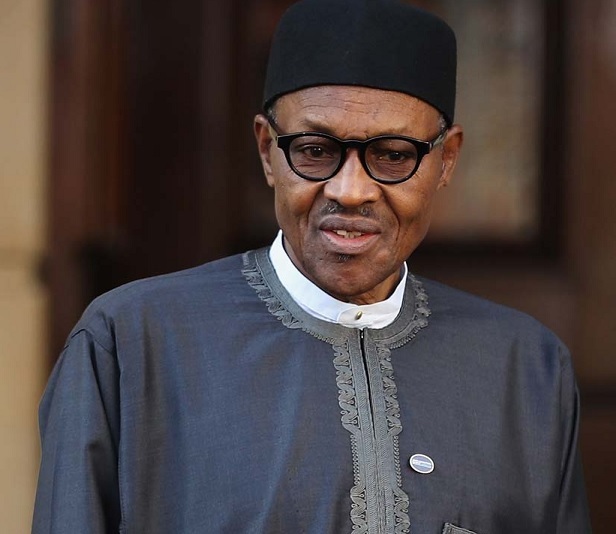 President Buhari recognized June 12 represented a chance to get things right anew. And it's a great feeling President Buhari didn't let the train pass him by. Nigeria's political terrain will never be the same again after the June 12 Democracy Day declaration. Hope and faith in Nigerian democracy have been returned, where Nigeria goes next will be determined by the 2019 elections but one thing is sure; President Buhari has steered the nation out of darkness. Nigeria is on the march again and the rebirth may be at hand, Buhari has started the much-desired healing and turn-around. History will never forget his place for this rare demonstration of courage and justice. HE DAMNED ALL THE CONSEQUENCES, BUHARI IS A BRAVE MAN.